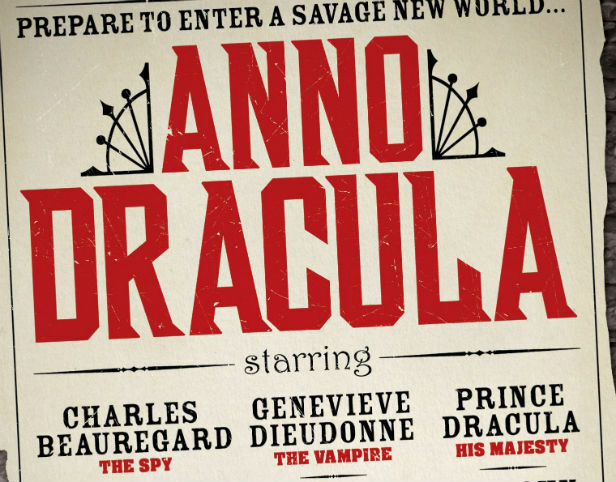 ANNO DRACULA Review | Warped Factor - Words in the Key of Geek. There’s an intriguing section of science fiction known as alternate history. Imagine worlds where history took a different path - where the Nazis won World War II or JFK was never assassinated. Or perhaps imagine a world where Victorian Britain was taken over by vampires. That, in a nutshell, is what British critic and novelist Kim Newman’s Anno Dracula is all about. Originally published in 1992, the novel's premise is a simple yet interesting one to be sure. What if Van Helsing and his followers failed to stop Count Dracula and the vampire took over Britain? Newman combines this with the Victorian London (and to a lesser extent Britain) of both real and fiction. The plot hinges on the mysterious murders of vampire prostitutes being committed by the serial killer known first as Silver Knife and then as Jack The Ripper. Newman has clearly done his research as he creates an entire panoramic portrait of this world that combines the best and worst of the era, with vampires. Perhaps even more surprising is how seamlessly everything fits together, changing a detail here or there to fit this nation overrun by vampires. Newman's version of the society is a perfect example of this, as people of all classes begin 'converting to vampire' in an attempt to rise in social status. In fact perhaps the novel's best written section is chapter thrirty-eight which in incredible detail shows us the aftermath of a character choosing to take this action for herself. All of this means that Newman's Victorian London under vampire control is one of the most incredible worlds to ever appear in an alternate story. Newman fills this world with a massive cast of characters. To start with there's the lead vampire Genevieve Dieudonne and the human Charles Beauregard who are sent to investigate the Ripper murders. While they couldn't be much more different from each other (Genevieve is a vampire older then Dracula in the body of a sixteen year old, while Charles is a thirty-five or so year old adventurer) the two of them share a great chemistry, particularity as both are world weary from their respective lifetimes. It is through them, and their respective views of this world, that the reader is shown not only this world but the large cast of supporting characters. These include characters who really existed, such as Sir Charles Warren, Florence Stoker (wife of guess who), the victims of Jack the Ripper and Oscar Wilde, amongst others. Then there's a cast of fictional characters including Inspector Lestrade and Mycroft Holmes from the Sherlock Holmes stories (plus the occasional reference to the great detective himself), Inspector Mackenzie, and the good doctors Jekyll and Moreau who not only stay true to the original character but fit into this world almost seamlessly with the real ones. There's also characters from Stoker's original novel as well, including Dr. Jack Seward who plays a major role in the proceedings. Queen Victoria and her Prince Consort, the infamous count from Transylvania himself, only appear in the novel's ending but their appearance is well worth the wait as it makes for an incredible and unforgettable finale. The result is a novel that is not only full of an incredible setting but a lush and diverse tapestry of characters as well. Anno Dracula suffers from only one major flaw. While Newman spins an incredible vampire run version of Victorian London that is truly fascinating, unfortunately there are a few times when the plot gets hung up on the details of this world which can bring the novel to a bit of a stand still. In short, the details of set dressing overwhelm the plot on a few occasions. Thankfully, and much to Newman's credit, he is able to practically pick things up again quickly, which helps to minimize the effect. With the exception of that occasional flaw, there's little to see wrong with this novel. Anno Dracula is an incredible read to say the very least. It is an alternate world of a Victorian Britain turned vampire, occupied by a large cast of characters made up of people both real and fictional. This makes the world truly come alive, right down to the novel's incredible finale. While it does get perhaps too marred in details at times, one thing is certain. 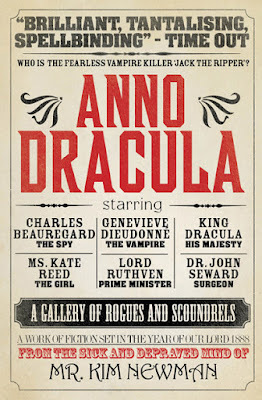 Anno Dracula is a fine example of not only the vampire novel but alternate history as well.